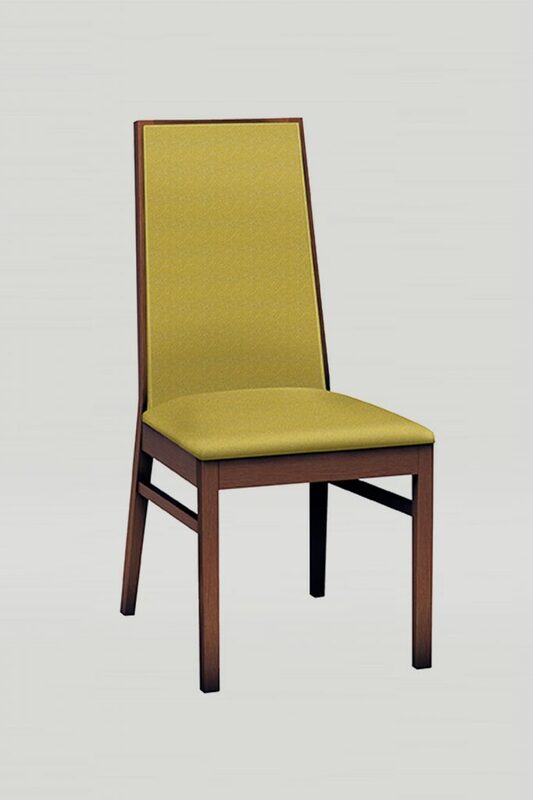 The Cara chair has elegant long angles accentuated with a tall upholstered back and seat. 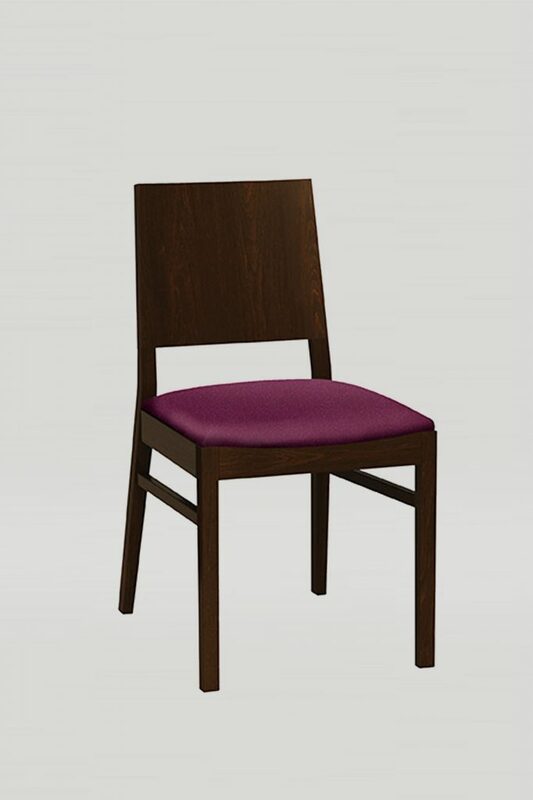 The Cara chair is a sophisticated addition to any dining space. More upholstery variations available in pricing download.